Confused about which credits and deductions you can claim on your 2016 tax return? You're not alone. Here are six tax breaks that you won't want to overlook. 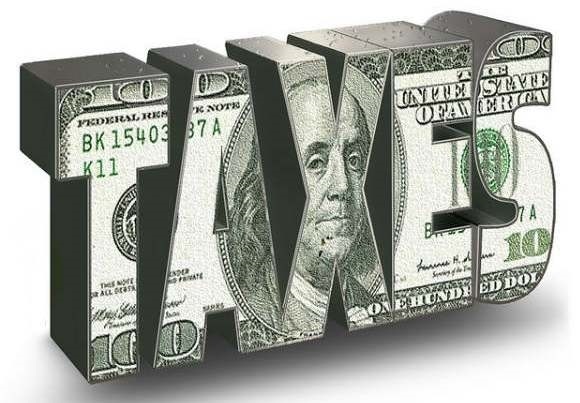 Thanks to last-minute tax extender legislation passed in December, taxpayers filing their 2016 returns can still deduct either state income tax paid or state sales tax paid, whichever is greater. Here's how it works. If you bought a big-ticket item like a car or boat in 2016, it might be more advantageous to deduct the sales tax, but don't forget to figure any state income taxes withheld from your paycheck just in case. If you're self-employed, you can include the state income paid from your estimated payments. In addition, if you owed taxes when filing your 2015 tax return in 2016, you can include the amount when you itemize your state taxes this year on your 2016 return. Most parents realize that there is a tax credit for daycare when their child is young, but they might not realize that once a child starts school, the same credit can be used for before and after school care, as well as day camps during school vacations. This child and dependent care tax credit can also be taken by anyone who pays a home health aide to care for a spouse or other dependent--such as an elderly parent--who is physically or mentally unable to care for him or herself. The credit is worth a maximum of $1,050 or 35 percent of $3,000 of eligible expenses per dependent. Job search expenses are 100 percent deductible, whether you are gainfully employed or not currently working--as long as you are looking for a position in your current profession. Expenses include fees paid to join professional organizations, as well as employment placement agencies that you used during your job search. Travel to interviews is also deductible (as long as it was not paid by your prospective employer) as is paper, envelopes, and costs associated with resumes or portfolios. The catch is that you can only deduct expenses greater than two percent of your adjusted gross income (AGI). Also, you cannot deduct job search expenses if you are looking for a job for the first time. Typically, a taxpayer is only able to deduct interest on mortgage and student loans if he or she is liable for the debt; however, if a parent pays back their child's student loans that money is treated by the IRS as if the child paid it. As long as the child is not claimed as a dependent, he or she can deduct up to $2,500 in student loan interest paid by the parent. The deduction can be claimed even if the child does not itemize. Most people know that medical expenses are deductible as long as they are more than 10 percent of Adjusted Gross Income (AGI) for tax year 2016. What they often don't realize is which medical expenses can be deducted, such as medical miles (23 cents per mile) driven to and from appointments and travel (airline fares or hotel rooms) for out of town medical treatment. If you're self-employed, you may be able to deduct medical, dental, or long-term care insurance. Even better, you can deduct 100 percent of the premium. In addition, if you pay health insurance premiums for an adult child under age 27, you may be able to deduct those premiums as well. If you've ever loaned money to a friend, but were never repaid, you may qualify for a non-business bad debt tax deduction of up to $3,000 per year. To qualify, however, the debt must be totally worthless in that there is no reasonable expectation of payment. Maybe you are...but maybe you're not. Why take a chance? Call the office today and make sure you get all of the tax breaks you deserve.